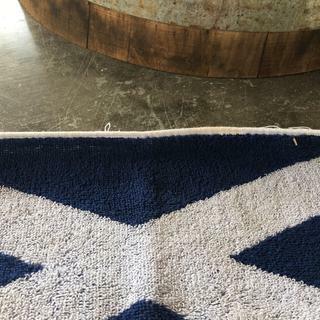 These beer towels are made to represent Scotland and they do it well! These beer towels are made to represent Scotland and they do it well! Whether you use your beer bar towels for hand drying and spill cleaning or simply put them on display, everyone will know which nation rules at your establishment! It is very handy and quite absorbent. Any adherent to the Hitchiker's Guide knows that a towel is "Just about the most massively useful thing any interstellar Hitchhiker can carry." Get this towel and get Froody! Not what I expected. Small and lacks color. Thank you for your feedback. We are sorry to hear that the quality of the towel did not meet your expectation. If you haven't already please call us at 877-636-3673 or email us at customercare@kegworks.com so we can assist you with a return. Nice look, not amazing quality. Cloth is thin and colors dull. Our heritage is Scottish and our son was able to visit so it's just a small reminder of a great visit.